A Crime in the Family is Sacha Batthyany's memoir of confronting these questions, and of the answers he found. It is one of the last untold stories of Europe's nightmare century, spanning not just the massacre at Rechnitz, the inhumanity of Auschwitz, the chaos of wartime Budapest and the brutalities of Soviet occupation and Stalin's gulags, but also the silent crimes of complicity and cover-up, and the damaged generations they leave behind. 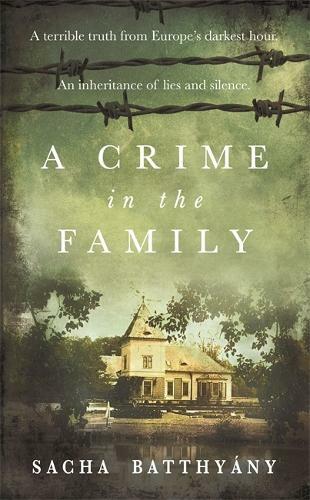 Told partly through the surviving journals of others from the author's family and the vanished world of Rechnitz, A Crime in the Family is a moving and revelatory memoir in the vein of The Hare with the Amber Eyes and The House by the Lake. It uncovers barbarity and tragedy but also a measure of peace and reconciliation. Ultimately, Batthyany discovers that although his inheritance might be that of monsters, he does not bear it alone.